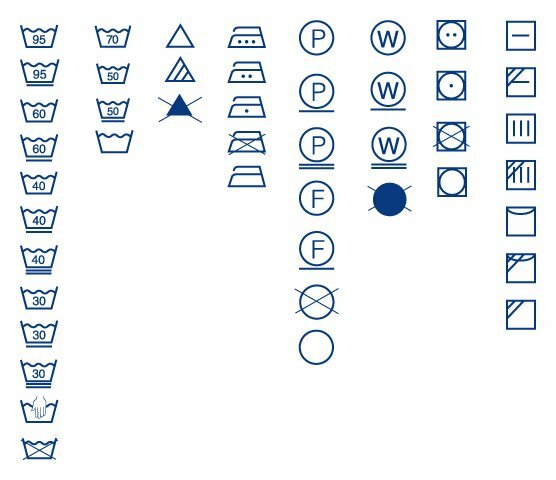 System of graphic symbols, intended for use in the marking of textile articles, and for providing information on the prevention of irreversible damage to the article during the textile care process. The following domestic treatments are covered: washing, bleaching, drying and ironing. Professional textile care treatments in dry and wet cleaning, but excluding industrial laundering, are also covered. However, it is recognized that information imparted by the four domestic symbols will also be of assistance to the professional cleaner and launderer. 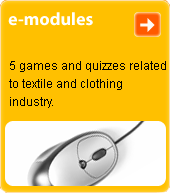 The system of symbols was developed by GINETEX (International association for textile care labelling). The symbols are covered by international trademarks registered at WIPO in Geneva (No.2R211 247, No.461 470 and No. 492 423).